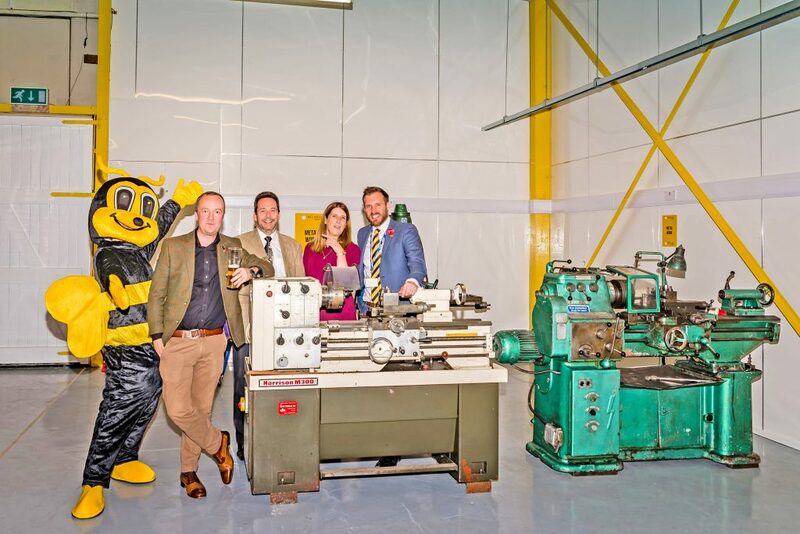 BUSINESS and civic leaders gathered for the much-anticipated launch of the A&T’s new entrepreneurial hub in New Milton created in partnership with business development company IncuHive. Beer from an IncuHive nano-brewery was poured to toast the opening of the new facility hosting offices, investment opportunities and the Fab Lab hall kitted out with hi-spec engineering tools. Among nearly 100 celebrating at the newly-built premises in Compton Street last Thursday were Christchurch MP Sir Chris Chope, New Forest District Council’s economic development chief Cllr Michael Harris, and New Milton mayor Cllr David Rice-Mundy. Also there was Suna King, town development manager at New Milton Town Council. She said: “The significance of this launch, not just to New Milton but the whole area, cannot be overstated. “This innovation centre will enable the development of exciting technologies and business initiatives, and bring a host of exciting employment opportunities. 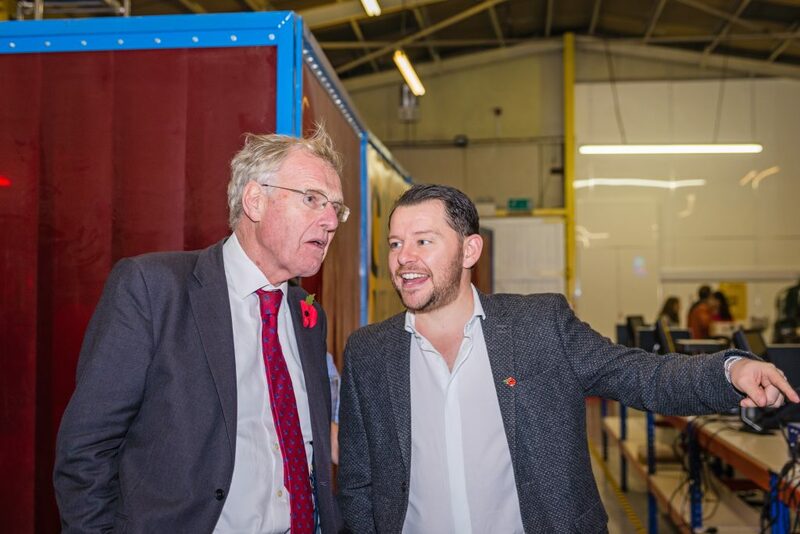 It will also provide the support to help future-proof new, growing and established businesses. 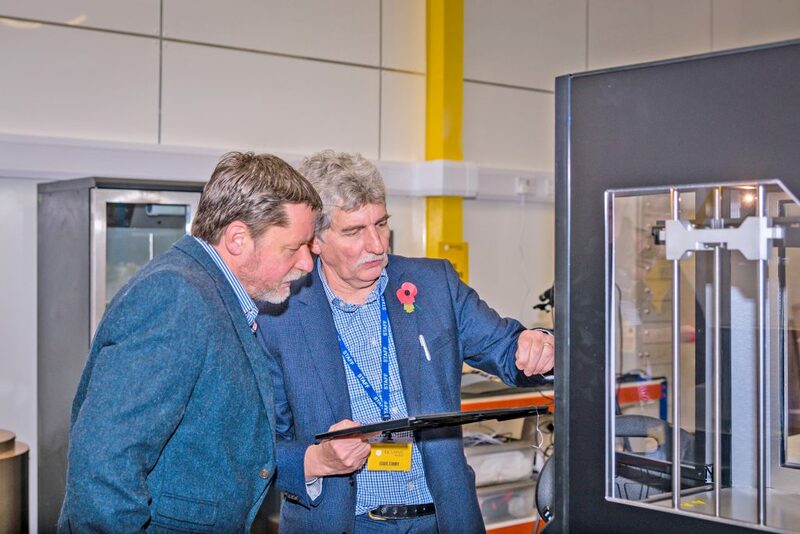 The opening attracted a range of local councillors, business people, regional enterprise leaders, and representatives of local organisations keen to see what it has to offer. Business coach Jeannie Satchell, growth champion for the regional Enterprise M3 Local Enterprise Partnership, added: “I am delighted that IncuHive New Milton has launched. Worley, which already has branches in Chandler’s Ford and Basingstoke. 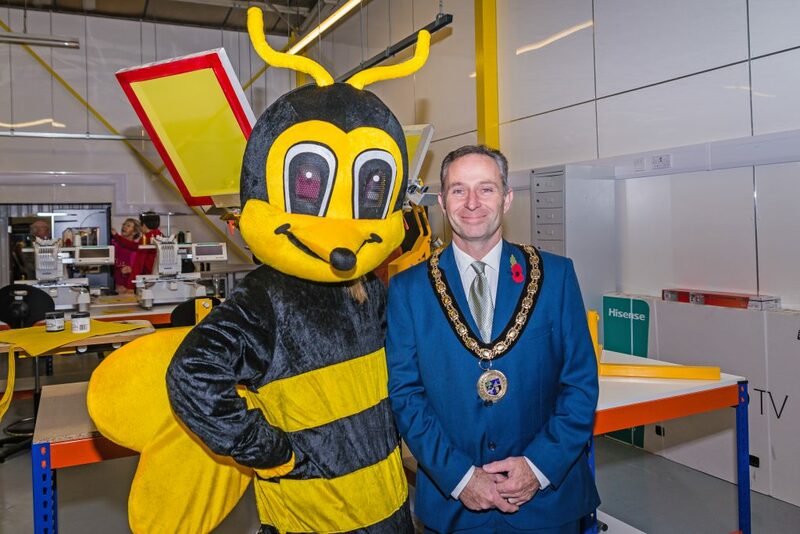 A&T managing director Eddie Curry said: “The proudest part of the launch for me was all the hugely positive things people had to say about IncuHive New Milton, and how delighted they were to have this well-equipped, commercial facility established in the New Forest. “This enterprise will not only help us invest in continuing to provide trusted, hyper-local journalism for the New Forest and Christchurch, but will deliver exciting new entrepreneurial opportunities for all sorts of businesses. Eddie is one of four generations of the family involved in running the newspaper since 1930. It was first launched in 1928 and is celebrating its 90th anniversary this year with a purpose-built newsroom as part of the office’s redevelopment. 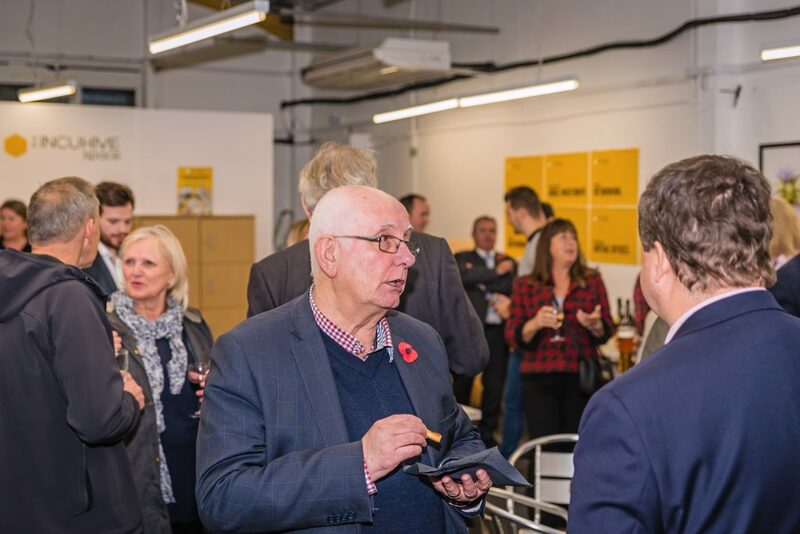 IncuHive chief executive Steve Northam said: “The launch of IncuHive in New Milton was a huge success with a whole range of local businesses and council representatives joining us for tours, drinks, pizza and discussions well into the evening. Work space at IncuHive New Milton has superfast 1Gb internet, reception and communication links, and membership use of the A&T’s in-house accountancy, PR, design and advertising services. 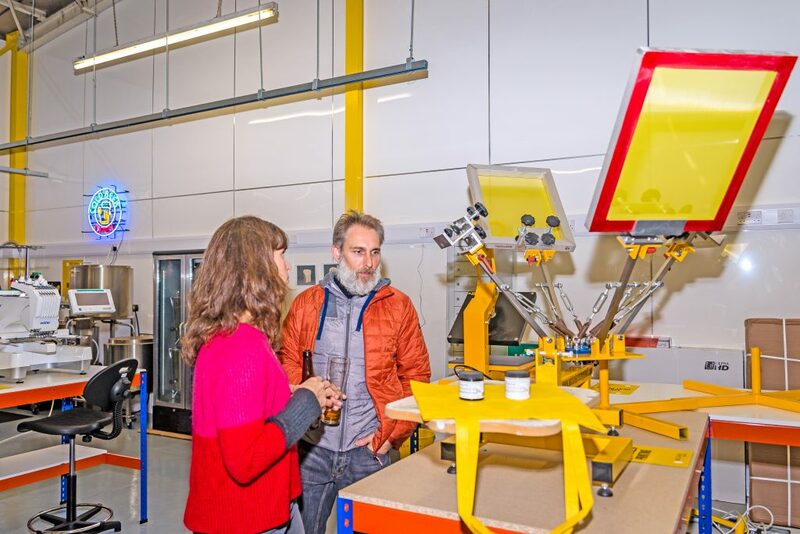 The Fab Lab engineering facility – where the A&T’s old black and white press used to be – has been transformed with fully-equipped work stations, a nano-brewery, 3D printer, lathes, and CNC embroidery. There are also plans for a sizeable photo/film studio using another part of the site. One already moved in is Freedom to Learn, an education charity supporting nearly 5,000 children in Nepal and which for the last ten years has been working out of the home of the organisation’s founder. Joey Owen, the group’s UK project manager, said: “The IncuHive office has done exactly what you would hope a hive would do – feel like we belong to a community. “We can bounce ideas, reach out to the A&T staff for fundraising opportunities, and make connections in the community we otherwise would never have had. All without stretching our core budget – which as you can imagine is extremely minimal. A&T commercial development manager Alison Thomas said: “We’ve had lots of interest from organisations, and some are already moving into their new home.